I have written about 56 of the 77 Chicago neighborhoods but left out 21 of them; the reason why is because those 21 neighborhoods do not have a significant enough gang history throughout the 19th and 20th centuries due to a lack of poverty, consistent strong community ties and being consistently economically flourishing. 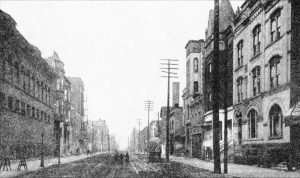 Neighborhoods like Mount Greenwood and Edison Park have been known to have zero homicides for 10 or more years at a time. 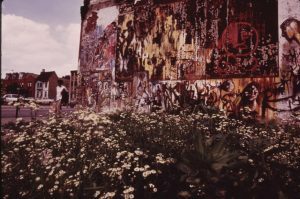 Neighborhoods like Forest Glen, North Center, O’Hare, Norwood Park, North Park and Beverly are very close to Mount Greenwood and Edison Park with almost no murders and no gang violence. 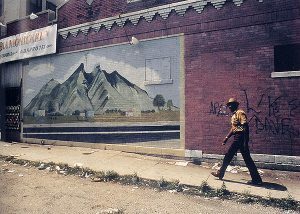 Anywhere you look on the internet or read stats about these neighborhoods you will see a correlation with the lack of gang activity in these neighborhoods past and present with low crime rates; another interesting thing is most of these neighborhoods border the suburbs. 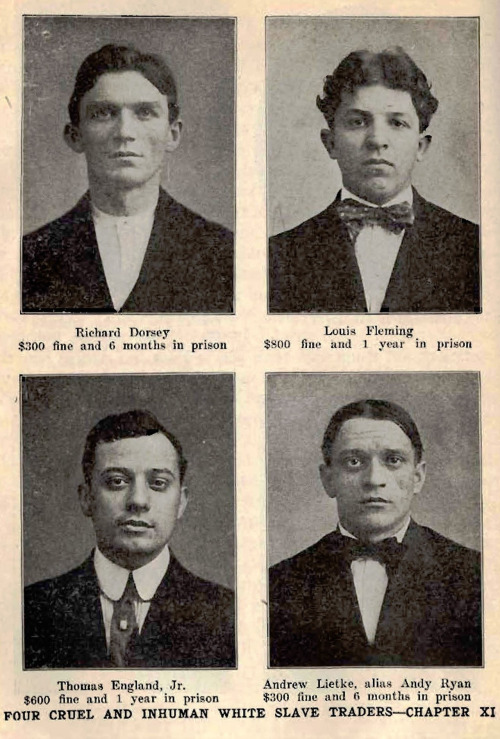 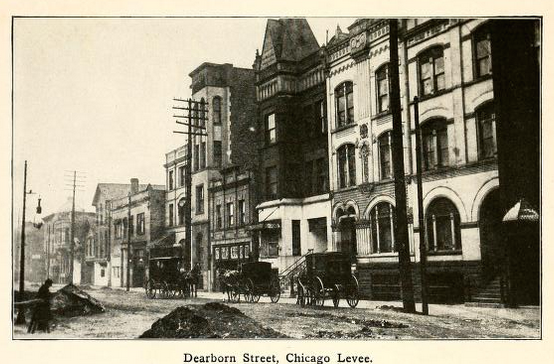 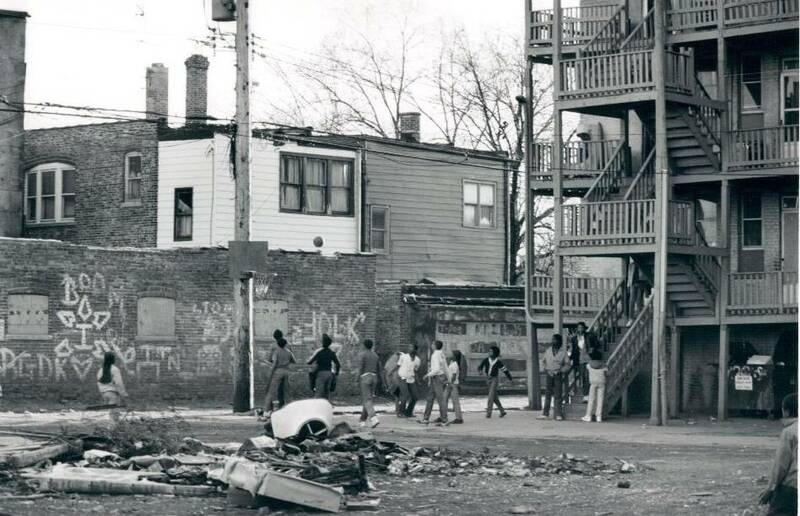 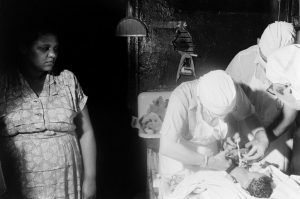 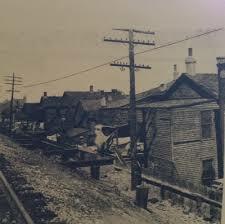 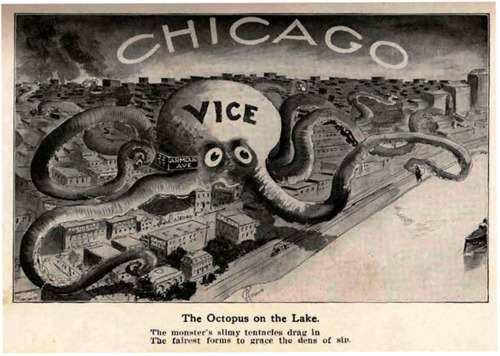 Some neighborhoods had a stint of gang activity in decades past; however, it was not enough to delve into a whole history of the neighborhood as there was no real socioeconomic or any other sociological reasons gangs were there in such neighborhoods as: Dunning, Jefferson Park, Portage Park and Montclare. 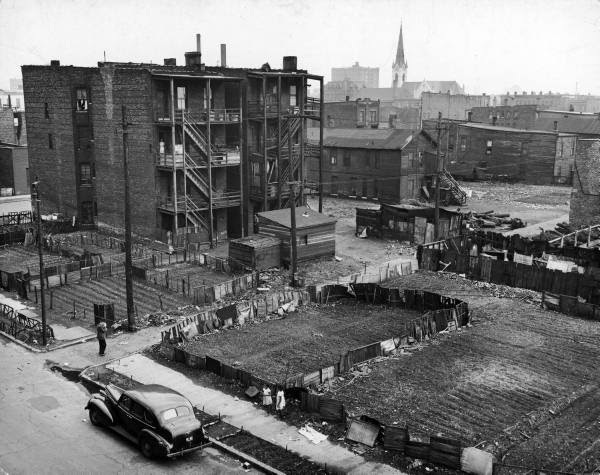 Some neighborhoods I did not get into because they have some roughness throughout history, but not enough to really delve deeper, these neighborhoods such as: West Ridge, West Lawn, Edgewater, West Elsdon, East Side, Avondale, Hegewish, Ashburn and Clearing have only had a moderate level of gang violence over the course of history mainly though the 20th century and most importantly no significant street gangs were formed in any of the 20 neighborhoods I just mentioned. 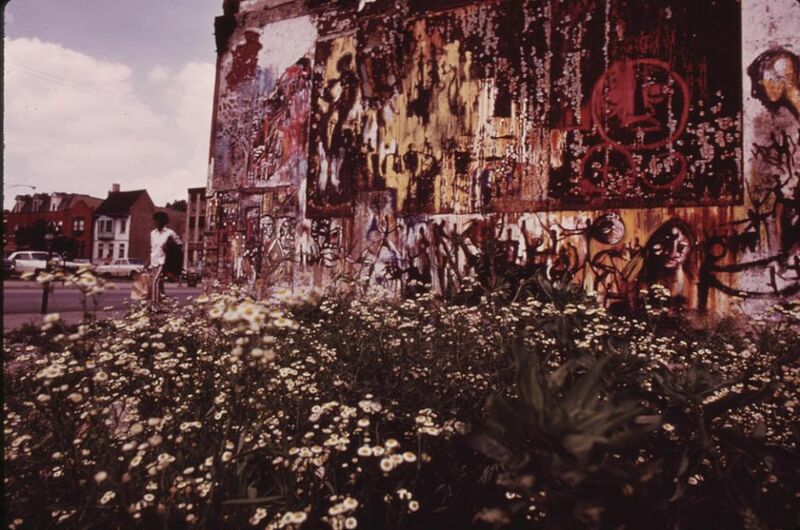 The only one that had a significant gang form within its borders was Hyde Park that is the home of the Devil’s Disciples. 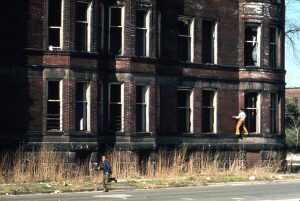 At the time of the Disciples being founded, the northern part of Hyde Park was a little rough for the first half of the 1960s decade but the issues that brought about the gangs were long ago eradicated and there was nothing else to discuss about Hyde Park after that. Some neighborhoods I dove into because of their past but presently these areas have become a lot safer and changed their whole look, neighborhoods like: North Center, Lincoln Park, Lincoln Square, Lake View, the Loop, Irving Park, Near North Side, Garfield Ridge and the Near South Side have experienced huge makeovers in the 21st century that make them almost unrecognizable to those that walked those streets in the 20th century. 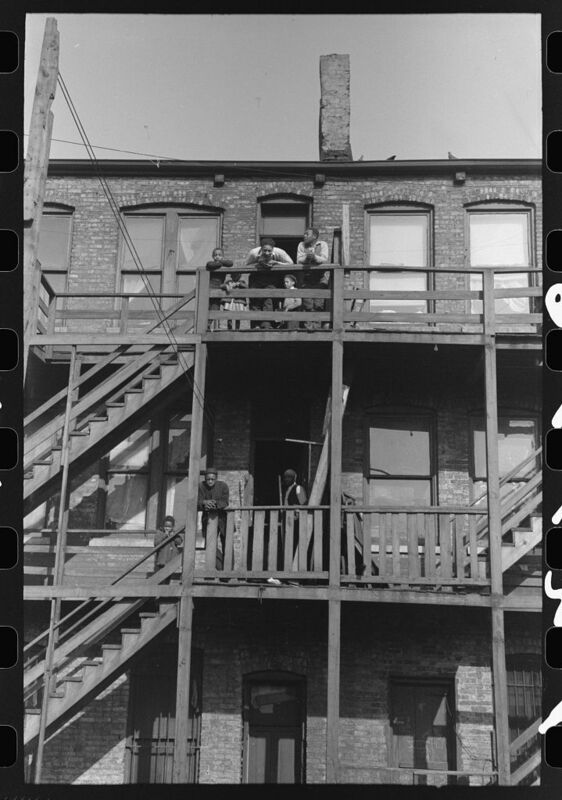 these renovations also ended up pushing out most gang activity in these regions. 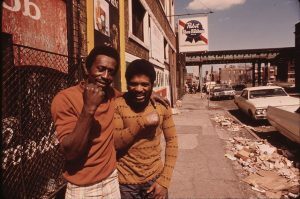 Some other neighborhoods had stronger gang activity and violence in the 20th century but ever since the 21st century urban renewal, rising property values, gentrification and crack downs by police and residents, have greatly reduced violence and gang activity in these neighborhoods like: Belmont-Cragin, Logan Square, Armour Square, Albany Park, Uptown, Rogers Park, Bridgeport, West Town, Douglas, Kenwood, Hermosa, Archer Heights, McKinley Park, Lower West Side (Pilsen), Brighton Park and the Near West Side have seen massive improvements over time but still have quite a ways to go, however, these area have become significantly safer. The rest of the other 31 neighborhoods still struggle with heavy violence and gang wars as the bodies stack up and crime is high. 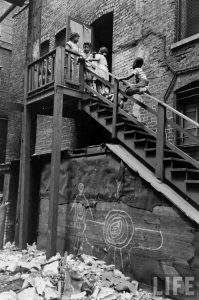 The 56 neighborhoods that have been explored above, all play a key role in the early formation of street gangs in Chicago and have molded the top organizations that we see active on the streets today that have even spread as far as other countries. 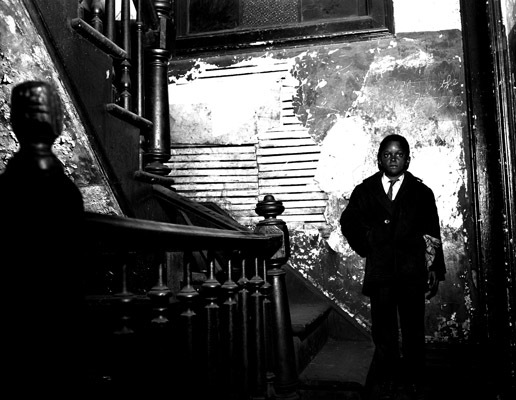 We all know someone that is in a Chicago based street gang that we know comes from a comfortable home in a livable and/or safer neighborhood and we wonder why they are in a gang despite having a decent life; the answer to that question could be answered by sociologists and psychologists with answers along the lines of needing to fit in, peer pressure etc… but the organization that individual is a part of did not start in a well off neighborhood and did not come from the middle class sections of the city or suburbs. These organizations came from the darkest and ugliest side of Chicago history that came from poverty, racism and survival. Many sections of these organizations still suffer from these factors but many are just gang banging for the heck of it, as that is commonly seen in the suburbs; especially when you see gang banging in communities like Naperville, Palatine or even Oak Brook. 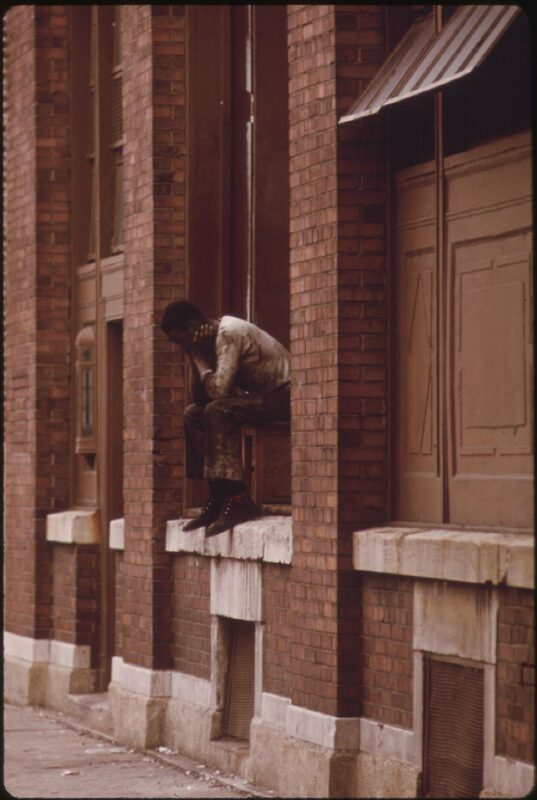 Racism was the first and largest factor that created street gangs and organized crime in this city because being discriminated against leads an individual to not receive the opportunities for advancement in life such as: equal housing, equal employment and equal education. 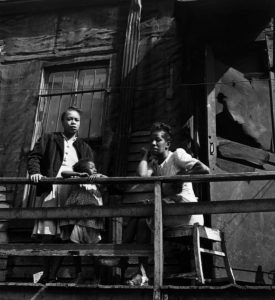 We cannot argue against the fact that African Americans have had it the worst throughout history as far as discrimination is concerned and this was started as soon as African Americans were sold by their chiefs and brought to this country on slave boats, even supposed “free men” in the old days were pushed to live in the most decrepit and most undesirable living situations to the point where many felt slavery was a better alternative. 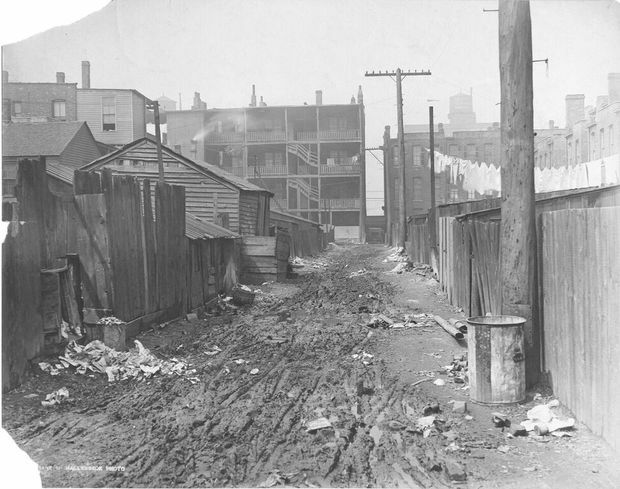 This city was first settled (by a non-Native American) by a man with dark skin and from the African ancestral country of Haiti before any other non-Native American wanted to live on these lands that are now Chicago. 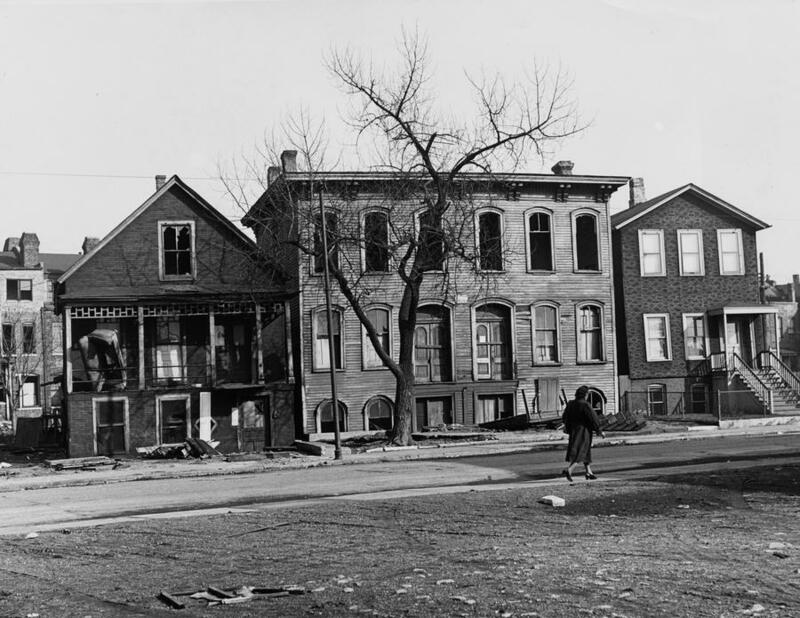 Despite the fact that Du Sable was first and he was black it did not matter; once this military fort was converted into a town and then a city in the 1830s the African Americans that came to help build this city were forced to live in a confined area in the present day United Center section of the Near West Side, neighborhood away from the white settlers. 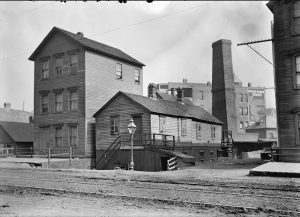 Whites were allowed to settle in the Loop, Near North Side and the West Loop section of the Near West Side, and in actuality, the United Center part was not even annexed into the city in the 1830s; therefore, blacks were not even allowed in Chicago in the first decade of the city’s existence. 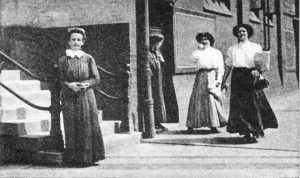 Another hated group were the Irish in early history, which is hard to fathom for modern societies’ understanding because they have white skin. In reality there were signs in many cities that read “NO BLACKS AND NO IRISH” and this was put in front of store fronts and also in front of manufacturing businesses that were hiring that also paid a decent wage. 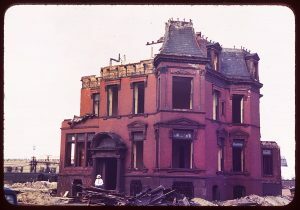 The Irish were allowed to live among their fellow white man; however, they were forced to take the crappiest and most dilapidated housing, they also were only allowed to take the lowest income and the worst positions nobody wanted. 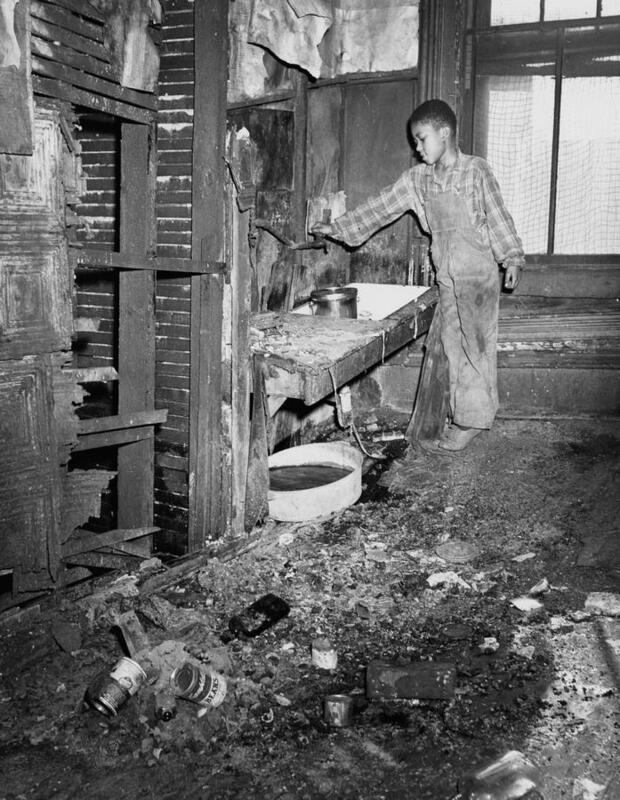 This discrimination led to the first ghetto in Chicago known as “Little Hell” that was located in the Near North Side neighborhood in the southwest quadrant in the areas of Little Hell (now Cabrini Green area), Smokey Hallow (Now the western part of River North), and Goose Island. 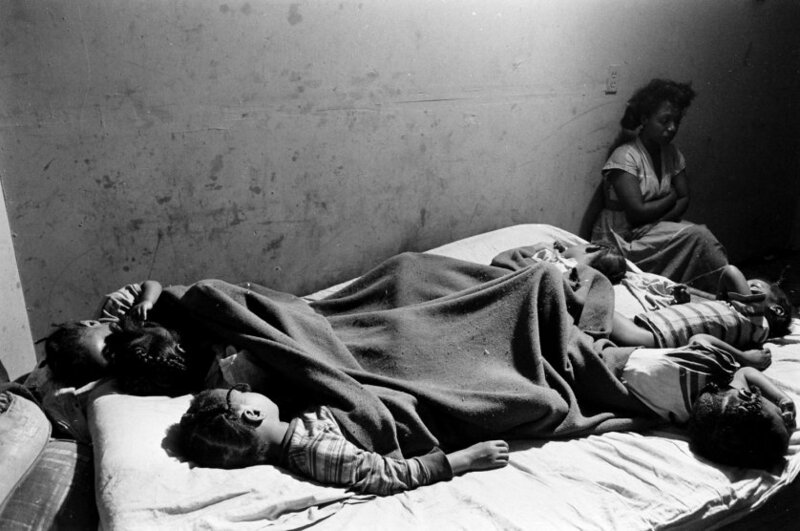 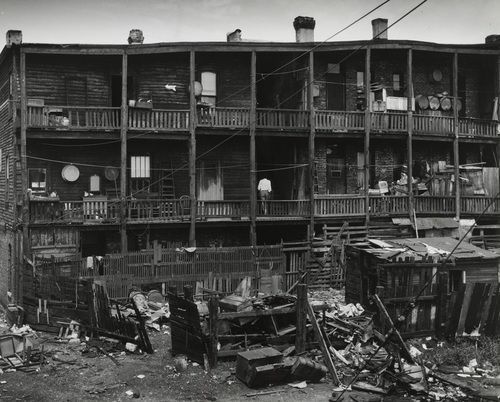 This was the first slum, the first crime ridden area, the first site of poverty and socioeconomic issues. This area was also the birth place of street gangs and the Irish and Italian Mafia, it all started here in this mostly Irish slum. 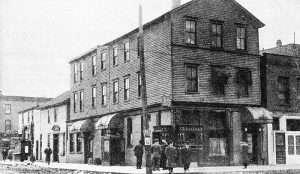 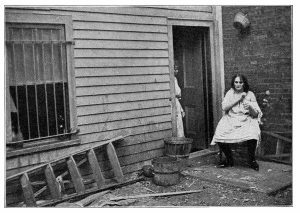 When Italians first came to this city in the 1880s most of them were pushed into this slum while the rest had to settle in rural Hyde Park Township or Lake Township outside the city limits and fend for themselves. 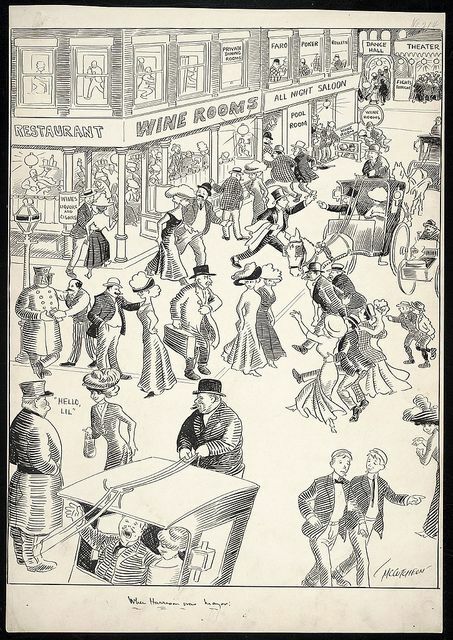 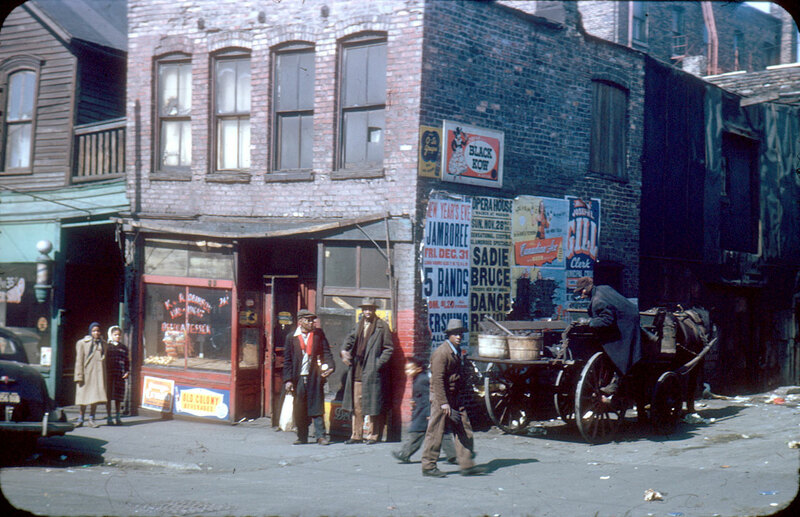 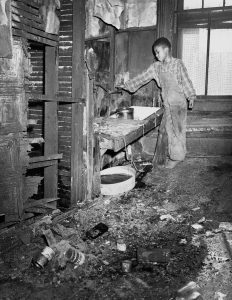 Those that arrived in the city limits got shoved into Little Hell with the Irish and were forced to live a life of anguish earning low wages, living in deteriorated housing, living among garbage and filth, living with no running water or plumbing just like the Irish. 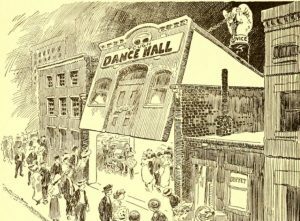 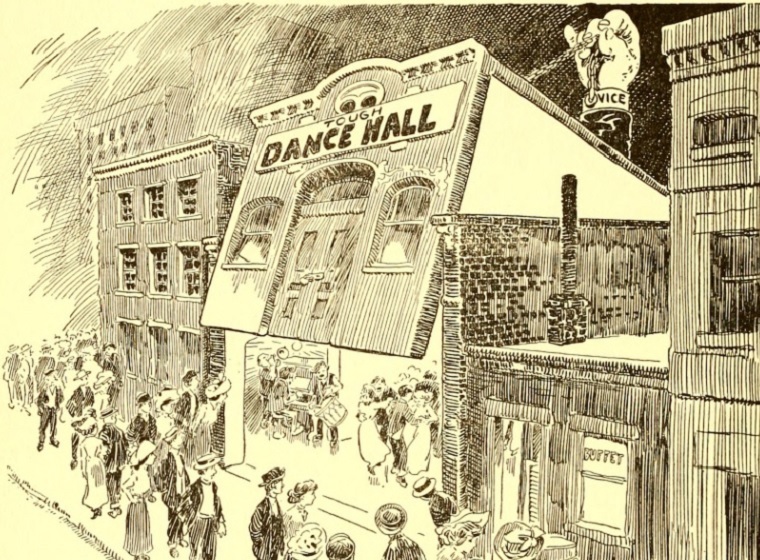 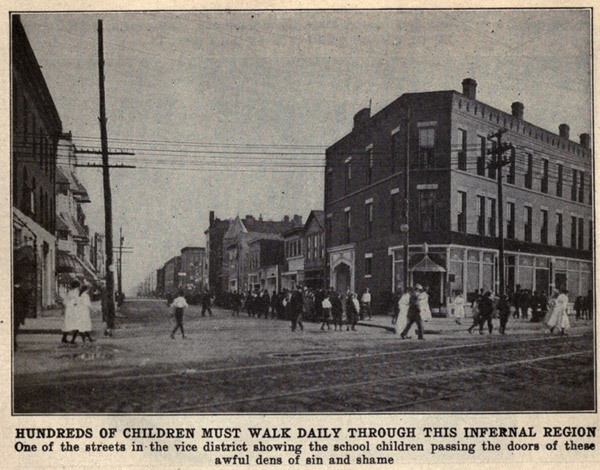 Even the Irish and Italians had their own restrictions in Little Hell as they did not want blacks living there; however, the rest of the city did not want blacks either unless they lived near the Vice District (and the Levee), Gamblers Row and Whiskey Row in the southern part of the Loop or on in the Near South Side shabbier buildings, when those buildings became crowded, blacks were allowed to move into Little Hell. 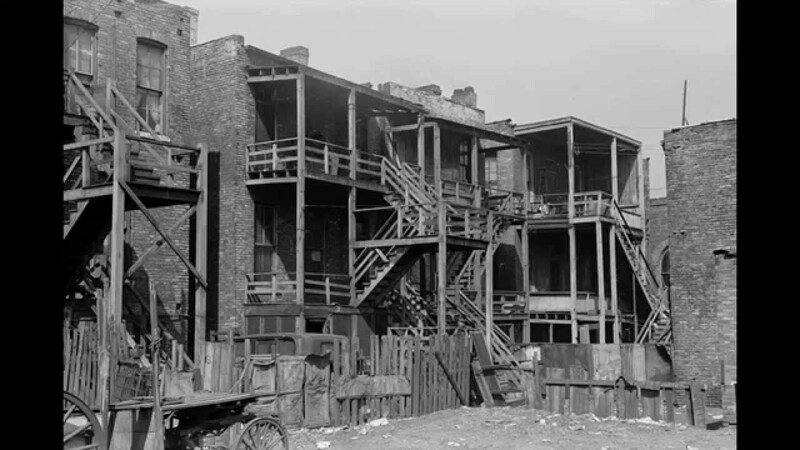 No matter where African Americans chose to settle, it was the same story of poverty, slums and living among criminals and hooligans in run down apartments or dilapidated cottages. Despite living among so many criminals the black man did not take up a life of crime because he knew that stealing that loaf of bread would cause him to be hung while the white man would get a small jail stint, so the vast majority of early African Americans did not run with street gangs or partake in or create organized crime with the exception of John “Mushmouth” Johnson. 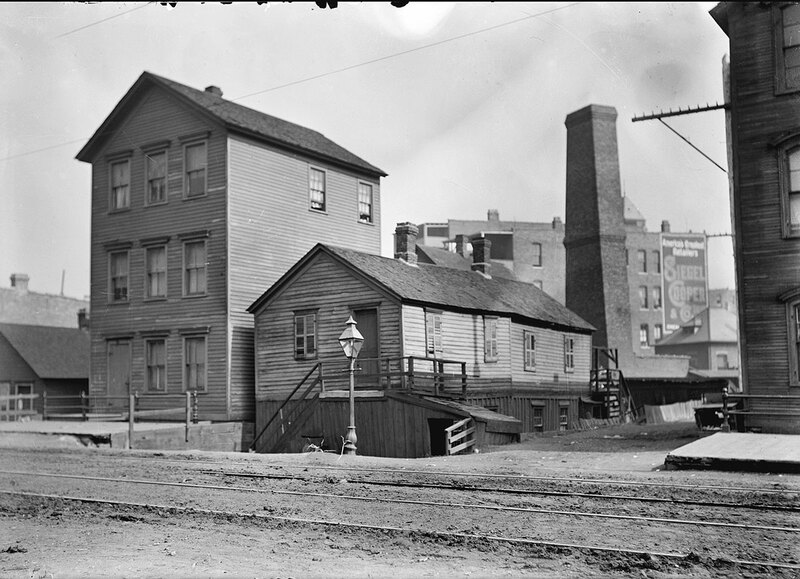 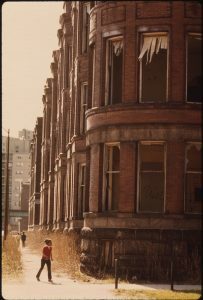 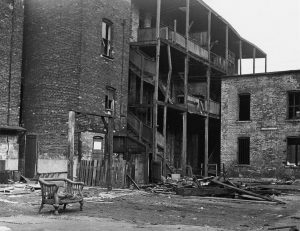 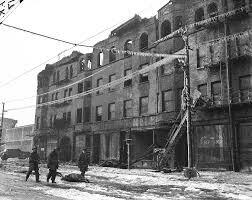 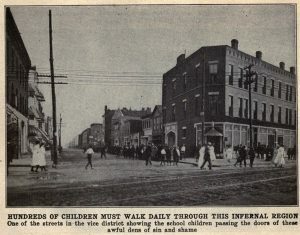 In Little Hell, the South Loop and also in the Back of The Yards people lived in such awful conditions and desperately wanted to escape this life; however, restraints based upon ethnicity and race did not allow upward mobility which made many resort to a life of crime because they were Italian, because they were Irish and later because they were black. Until the 1890s African Americans were forced to live in the slums of once great buildings built during early settlement leftover from whites that had moved up in the world. 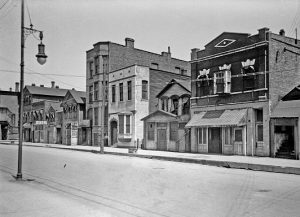 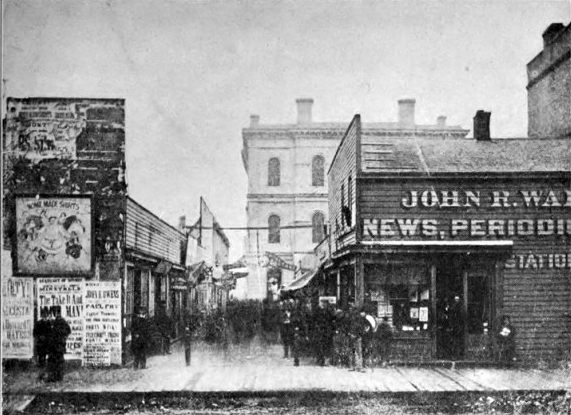 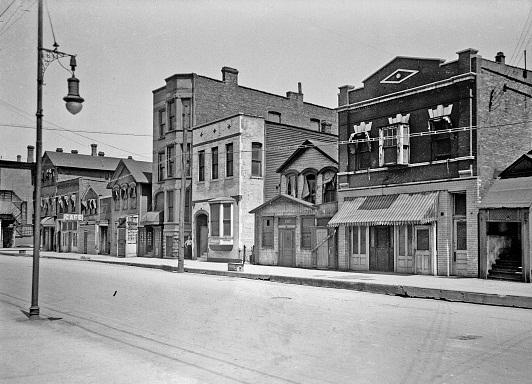 In the 1890s blacks now wanted to move to Grand Boulevard and Douglas and as they settled in these better areas the white community reacted in protest and even violence. 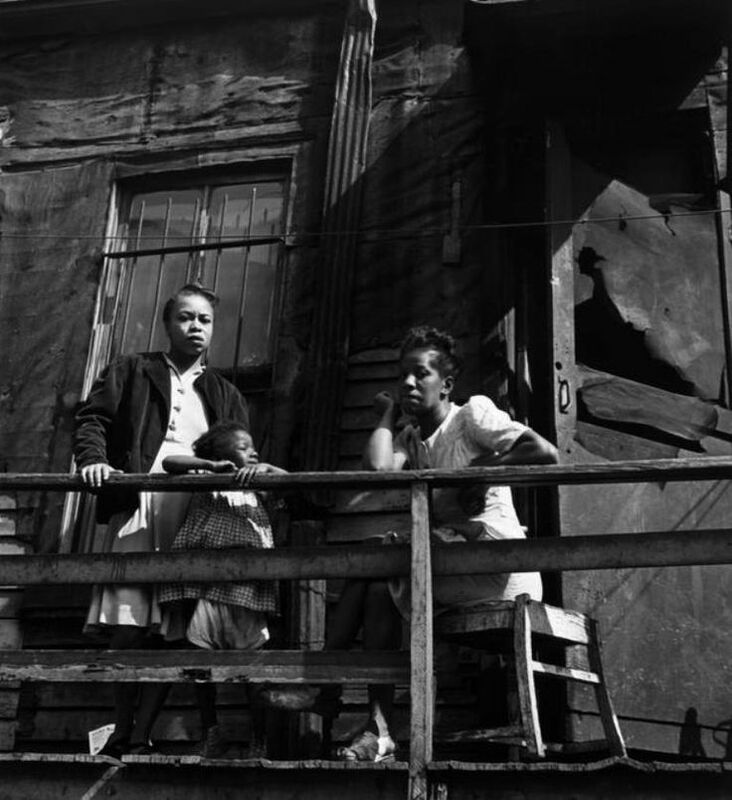 Another reaction from the whites was to move out of the neighborhood for the simple reason that they did not want black neighbors despite the fact that black people posed no threat and were mostly law abiding citizens; much of it had to do with pride, they felt if they had black neighbors then they were living among poverty, it was all about image apparently. 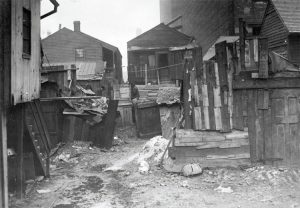 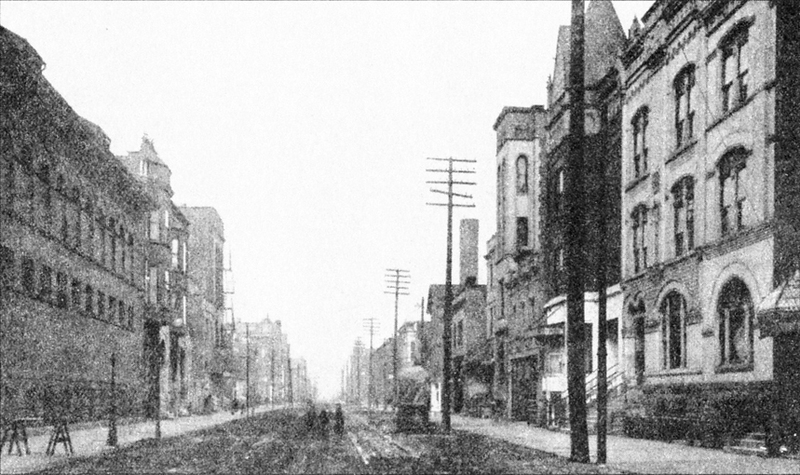 Proper and easier assimilation of blacks into these two neighborhoods was perhaps extremely vital in Chicago history because if this would have worked out without white flight and disinvestment happening in these neighborhoods, many neighborhoods around the city in later years would not have fallen into major socioeconomic problems. 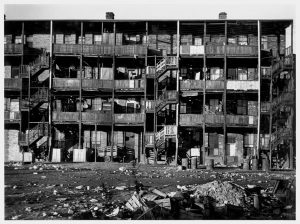 If the assimilation was successful with blacks being accepted with open arms in these two communities there would not have been the model of how a neighborhood goes from riches to rags. In these two communities white flight caused disinvestment simply because blacks were known to not have stable employment due to discriminatory practices at employers. 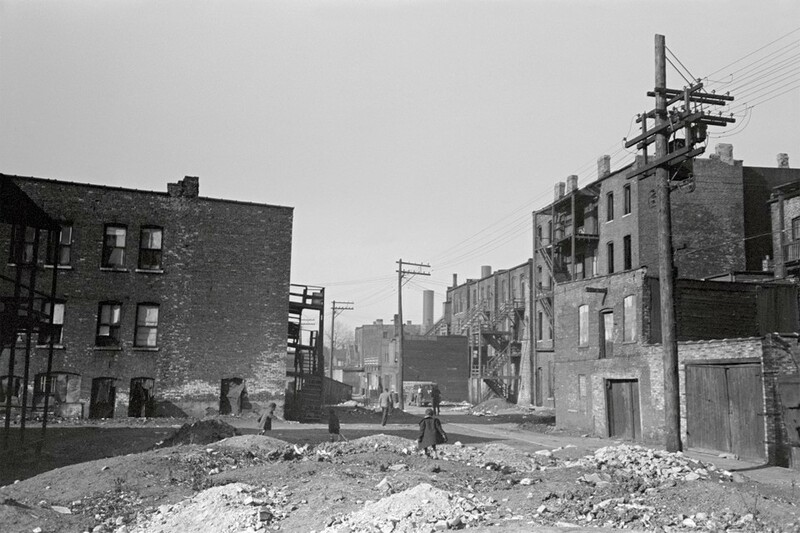 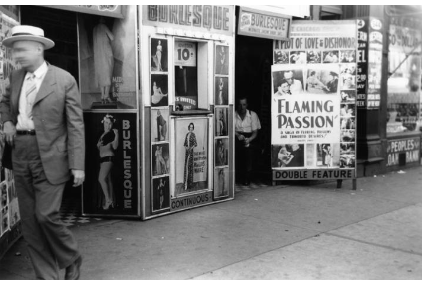 Once many blacks moved in it meant a higher rate of unstable employment among the total population of people living in these communities but that was also because the industries in the area would not cooperate and provide the stable employment for blacks because of skin color. Disinvestment meant that funding for urban renewal, lending for businesses that could create more jobs, the development of good schools, providing better public transportation would all become lacking in these neighborhoods due to a disinterest in the future of those that lived there which turned these neighborhoods into slums. By the 1920s these were the ideal neighborhoods that Chicago wanted blacks to live in. 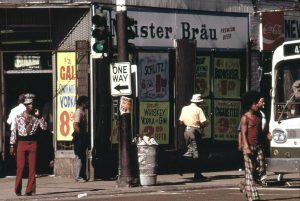 Once it became well known that Grand Boulevard and Douglas collapsed economically Chicagoans in other neighborhoods did not want the same thing to happen in their neighborhoods; therefore, white residents protested and acted violently in many south side and west side neighborhoods over the next several decades up until the 1980s. Whites were fighting to keep their neighborhoods majority white for fears their community would become a slum too; however, many did not realize that hate and discrimination was the cause of these slums taking shape. 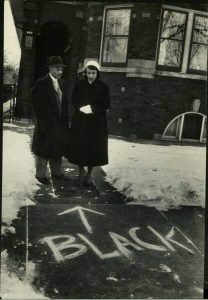 It was not the fault of the blacks it was the fault of racism. The south side of Chicago became a war zone between blacks and whites from the 1940s through the 1980s as blacks were first moving onto the further south side causing whites to attack in Greater Grand Crossing, Marquette Park, Englewood, West Englewood, Garfield Ridge, South Deering, South Chicago, Burnside, Pullman, West Pullman, Riverdale, Auburn-Gresham, Woodlawn, Kenwood, Oakland, South Shore, Fuller Park and Roseland. Only some communities assimilated African Americans correctly on the south side like Calumet Heights, Washington Heights, Avalon Park and Chatham and as a result these communities still economically thrive to this day and are well known black middle class neighborhoods. 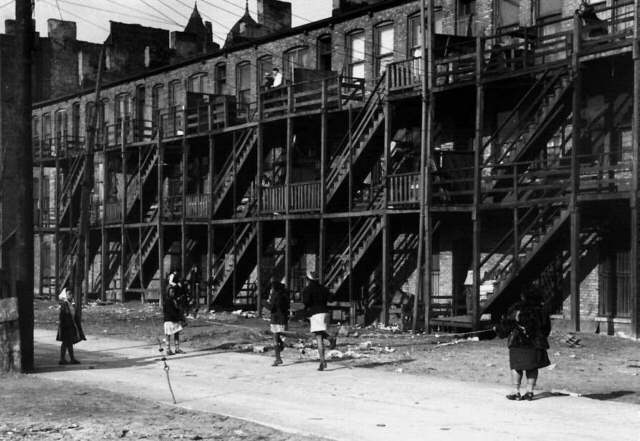 On the west side of Chicago African Americans always lived in the United Center area of the Near West Side community as they conflicted with Italians, Greeks and Jews over territory but the rest of the west side was all-white communities until restrictive racial covenants were deemed unconstitutional by the U.S. Supreme Court in 1948. 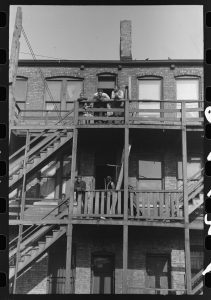 The restrictive covenants were in place since Chicago first started which were lawful restrictions a community could set that decided what race and ethnicity of people they wanted in their neighborhood. Land developers, businesses and landlords serving that community were legally allowed to tell someone of the undesired race or ethnicity that they would not serve them or rent to them or let them buy property, that is what a restrictive covenant is and many were enforced successfully and unsuccessfully over history in Chicago. 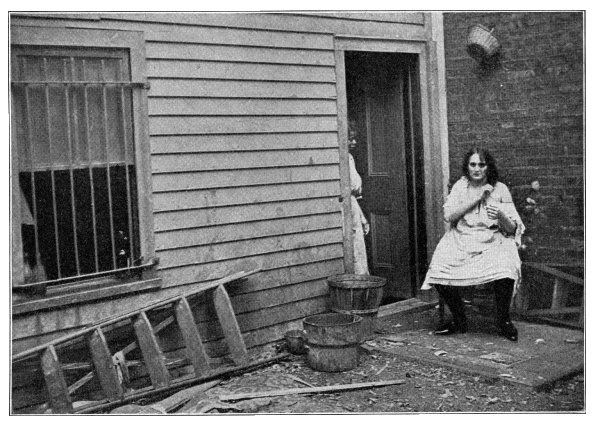 Black Belt basement apartment. 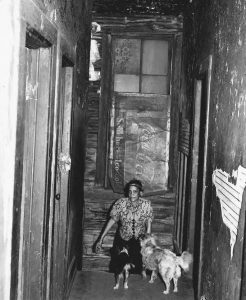 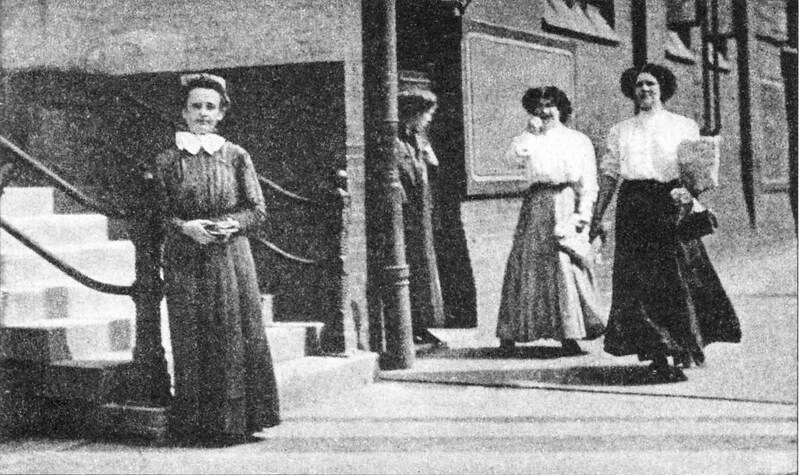 Was vacant at the time of the photo but boy still shows photographer to conditions in these tenement slums. 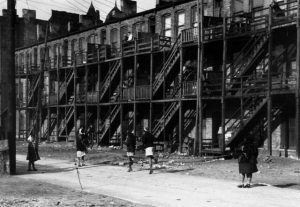 In North Lawndale the Jewish residents tried to continue enforcing racial covenants even after they were deemed illegal. 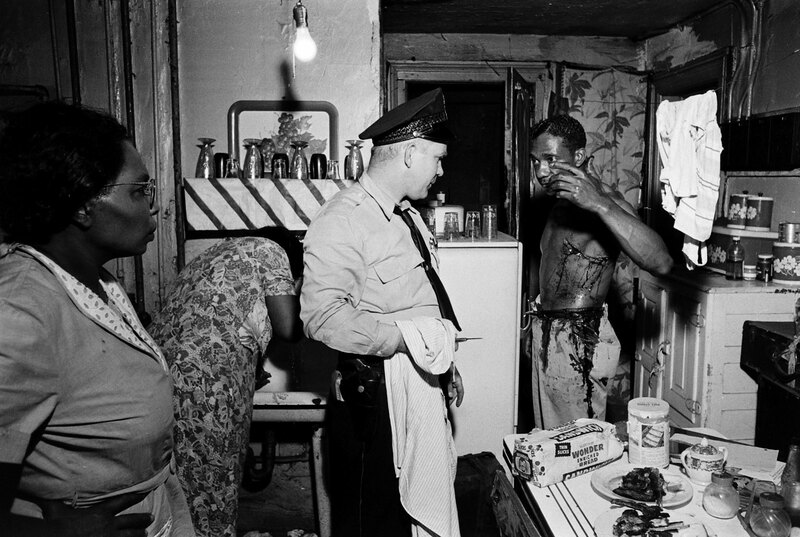 They tried to keep blacks out of the neighborhood by means of violence or whatever necessary. 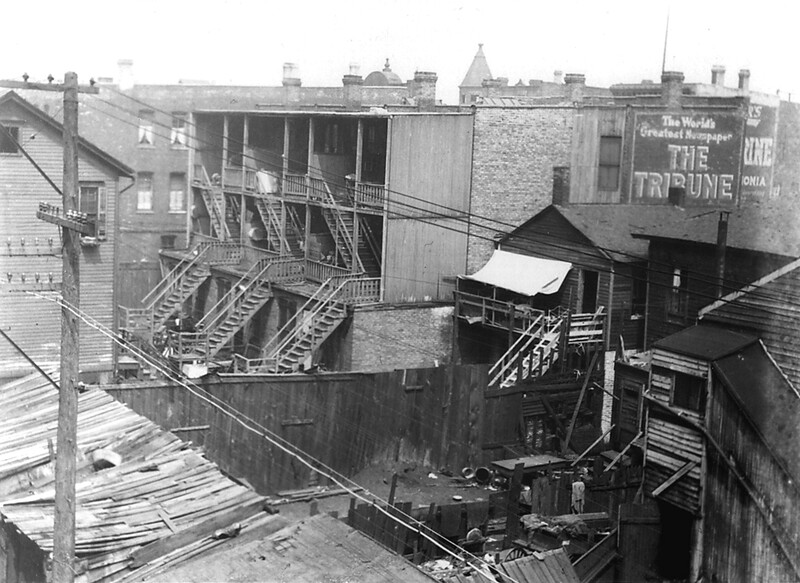 The ironic thing is many 19th century and early 20th century covenants prevented Jews from living in certain neighborhoods pushing many of them into the “Jewish Ghetto” in the southern part of the Near West Side community. 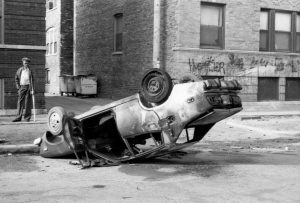 The racial clashing was felt more among the youths of North Lawndale as this gave rise to the first major African American street gang that we know today as the Mickey Cobras. 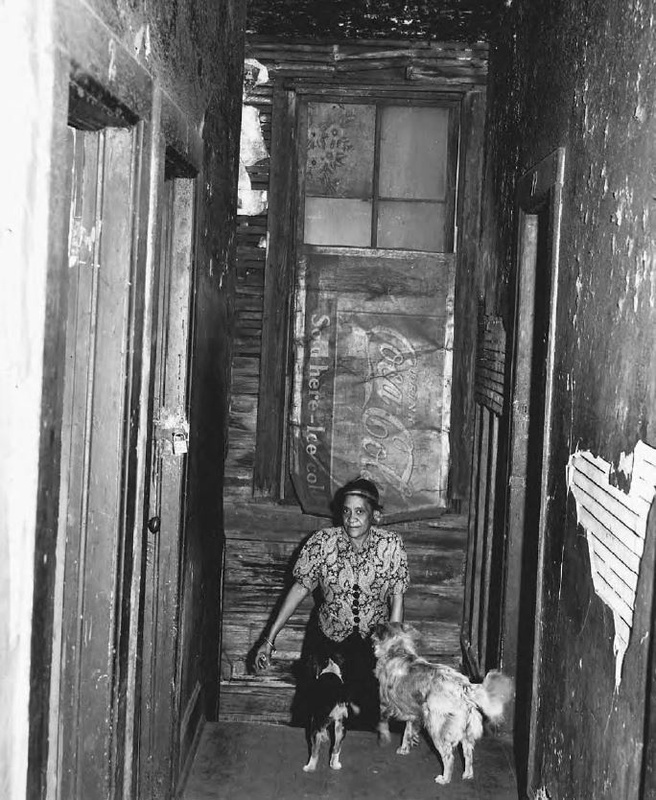 The Jewish population mainly resorted to white flight in North Lawndale in the 1950s to get away from the blacks; not only that south side and Near West Side criminal groups were coming in and terrorizing the neighborhood by the mid-1950s making white flight more rapid. 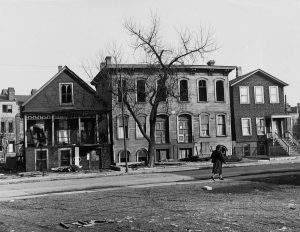 The trend of white flight soon spread into neighboring East and West Garfield Park neighborhoods especially after public housing for blacks was built in East Garfield Park. 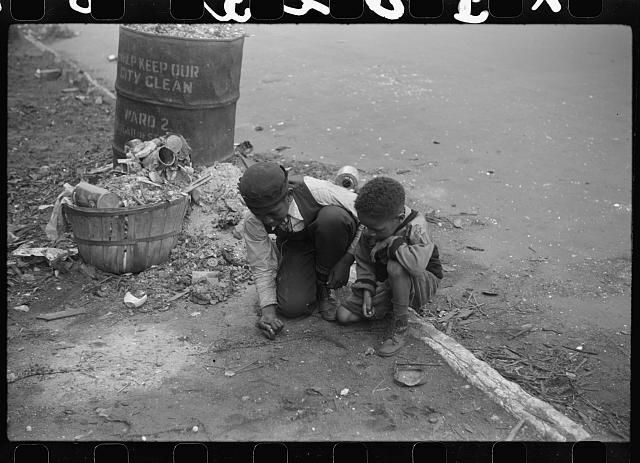 Fears spread that black migration to the neighborhood meant the neighborhoods would turn into a slum. One of the biggest factors that caused massive white flight on the west side and south sides is “block busting.” This is a practice when real estate agents would hire “agents provocateurs,” that were African Americans, to cause a commotion or simply make an appearance in a neighborhood where the agent was trying to convince a white family to sell their home at a rock bottom rate. 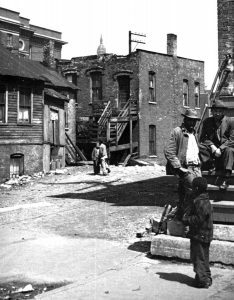 This scam was giving the white family a false sense that their neighborhood was about to become a black slum. 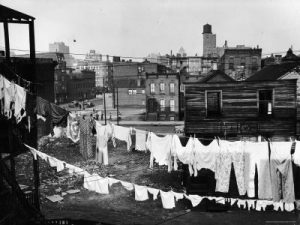 The trick worked like a charm as white residents frantically sold their houses to the real estate agent for a low rate then the agent would find them a new home in other parts of the city or the suburbs and the family would lose most of their investment in the home. 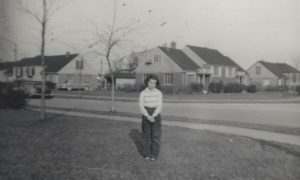 The family would have to pay higher mortgage payments to where they moved because they did not get enough return on their old homes they should have gotten but were too hasty to stick around. the family had fears their community would soon become a danger. After the home was sold off to the agent he would then turn to his black customers and sell them that same home for a large markup that was even higher than the home was worth, putting the black family in a contract with the bank making large payments into this mortgage. 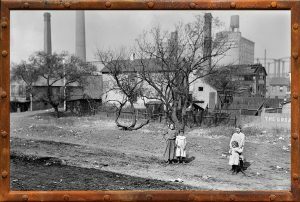 Eventually unstable employment caused the family to not be able to make the payments anymore, or if they made the payments they were left with no money for other things. 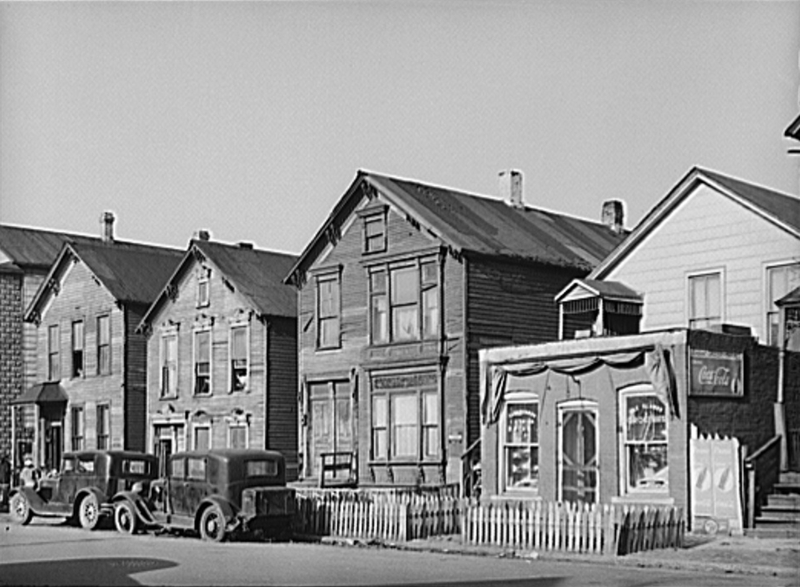 Once the neighborhood would experience more white flight, the community would experience disinvestment as government and lending institutions lost interest in the community which caused businesses to close down, thus, taking away retail and some commercial jobs in the area and caused the communities to be off the list for urban renewal which allowed deterioration and vacant lots. 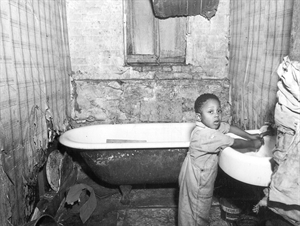 The process of “Red Lining” was used by lending institutions in the earlier 20th century all the way up until the 1970s which laid out certain neighborhoods and people of color that would not qualify for the necessary lending in order to open businesses, get funding for college and trade schools or G.E.D programs, rehab their homes or refinance a predatory high interest rate mortgage which left the impoverished black and Hispanic communities in a never ending cycle of poverty and depression. When a community was red lined they would turn to predatory lenders that charged high and hidden interest fees that would often bankrupt a family in the long run. Discrimination also ruined the chances of children of color to be able to attend better schools nearby that were for whites, thus, taking away the opportunities to be prepared for college and achieving some basic literacy that higher paying jobs require. 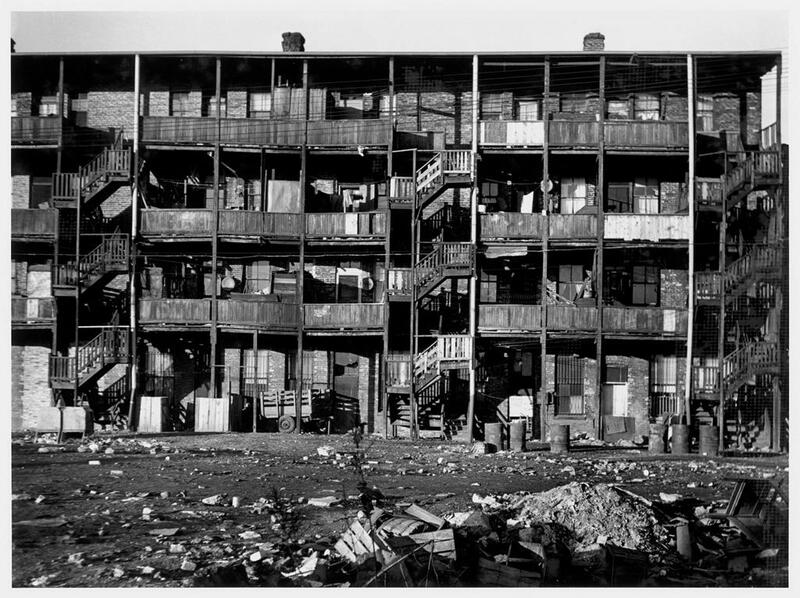 When these communities would become the victim of block busting and red lining, tax revenues taken into the community would become insufficient for urban renewal and extensive police protection. Even things like simple roadwork to fix potholes would become lacking, thus, causing the community to depreciate in value even further. When residents of the community are making lower incomes or no incomes they cannot pay enough taxes; therefore, the lack of taxes causes the city to neglect the needs of the community, it becomes a vicious cycle. There is no argument that African Americans had it the worst in Chicago in the early days that left a disadvantage for future generations of African Americans that were born into these neighborhoods. 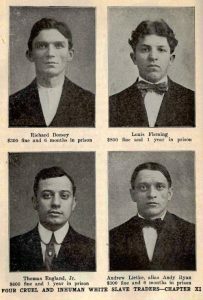 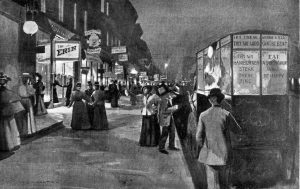 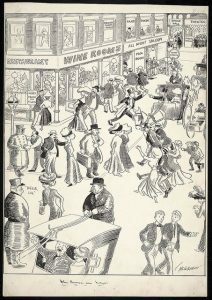 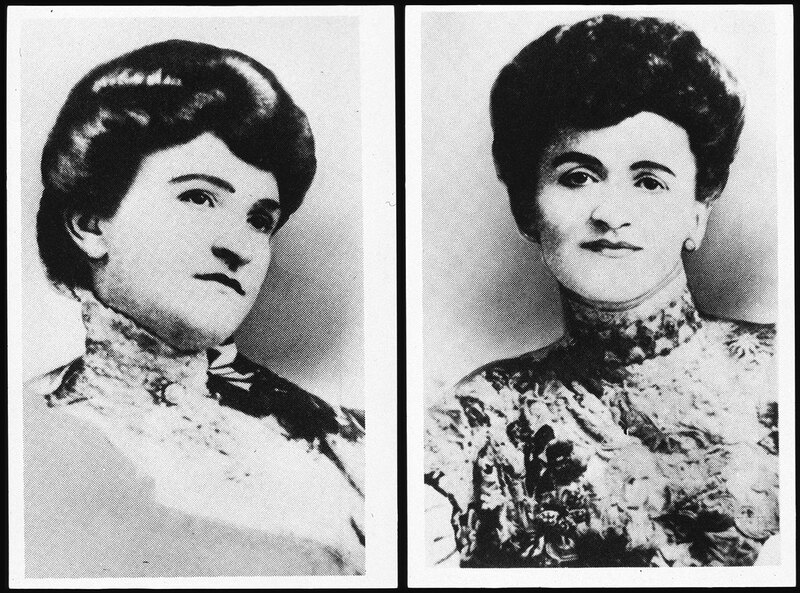 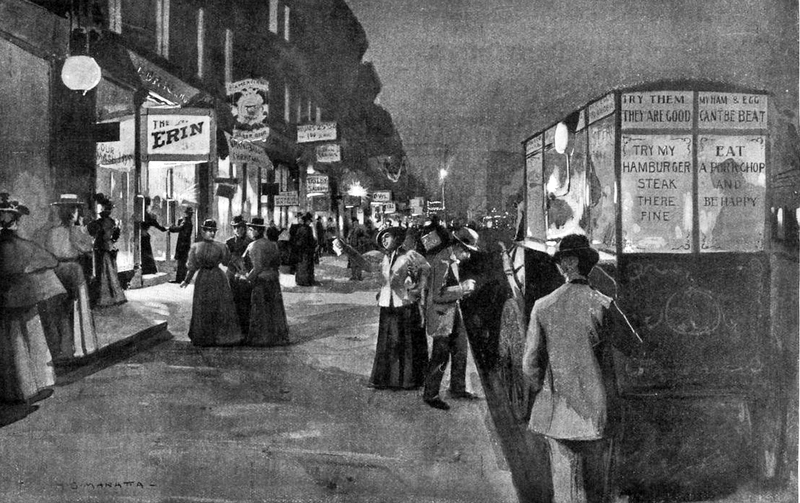 The Irish and Italians were suppressed people as well in the 19th century and it took them until the mid-20th century to finally climb out of the hellish hole they were in, in the meantime, many resorted to organized crime to achieve the same prestige as other ethnicities or native east coasters. The second most mistreated ethnic group where Puerto Ricans and Mexicans in Chicago. Mexican immigrants first came to the city during World War I as they settled in the Back of The Yards, South Chicago, South Deering and Near West Side communities. 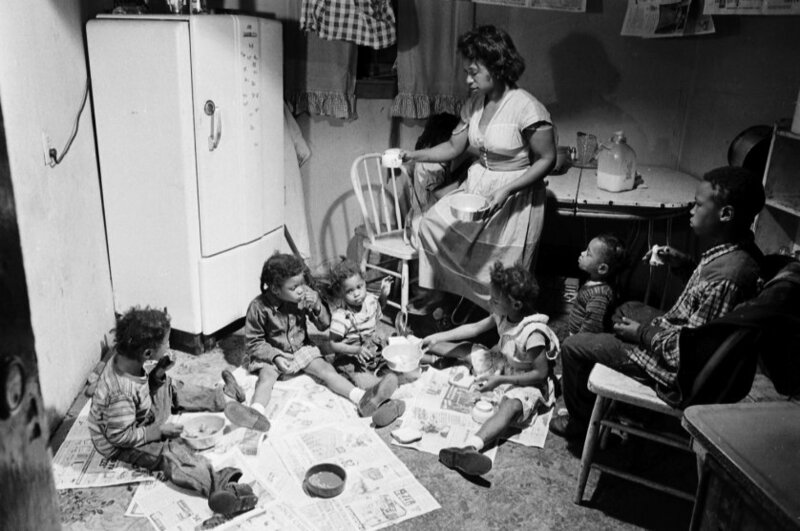 They moved into dwellings that whites no longer wanted and took many jobs that whites had left behind after whites went away to fight in the war. 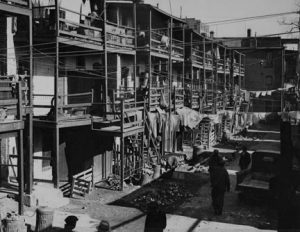 At first Mexican people were mildly accepted until the Great Depression era of the 1930s that caused the job loss of many Chicagoans. 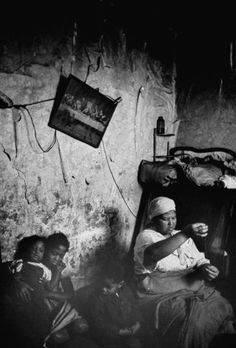 The government created “repatriation” which meant they could deport all Mexicans without due process which meant they racially profiled them then forced them out. 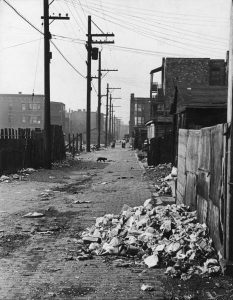 Angry and frustrated white Chicagoans also attacked Mexican people to try to help repatriation along; by 1936 the vast majority of the Mexican population had been deported. During World War II Mexican people were allowed to come back into the United States to work as “Braceros” or residents under a work visa, this brought a wave of Mexicans that mainly settled in the Near West Side community but they soon found labor discrimination because just like the African Americans experienced, the best jobs and employment stability was for the whites in Chicago, this led to protest from the Mexican people and labor organizations were formed. 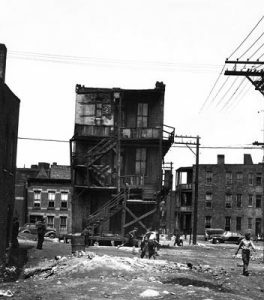 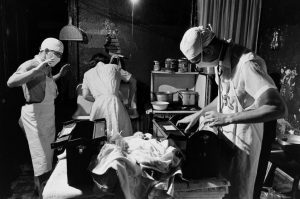 Puerto Rican people arrived in Chicago in the later 1940s because of the violence during the revolution in Puerto Rico that the United States was involved in. 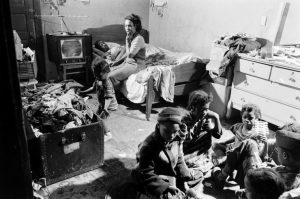 The United States took in many refugees that happened to have some resentment about the U.S. intervention but they had no choice but to come to the United States. 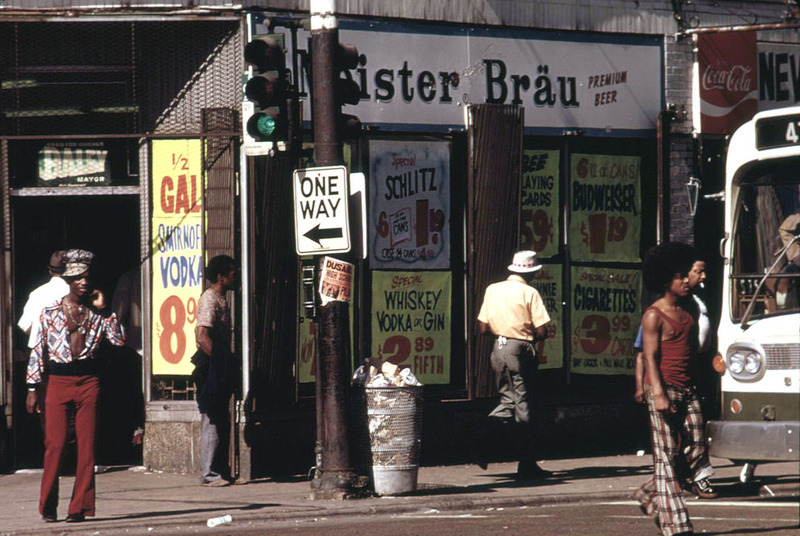 White residents knew about this anti-American attitude and did not want Puerto Ricans in their community and this all started in the Near West Side where the vast majority of Puerto Ricans settled. 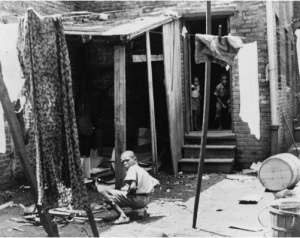 In the late 1950s and into the 1960s Puerto Rican people moved into various north side and west side neighborhoods which brought about a war zone between Puerto Ricans and whites. 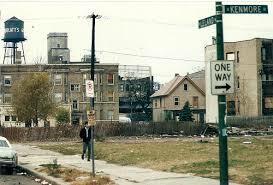 Several white and Puerto Rican street gangs formed in these neighborhoods in response to the neighborhood changing. Puerto Rican people often faced the same discrimination as blacks and Mexicans as they were denied ample employment and/or living conditions which kept them in a state of poverty and despair. 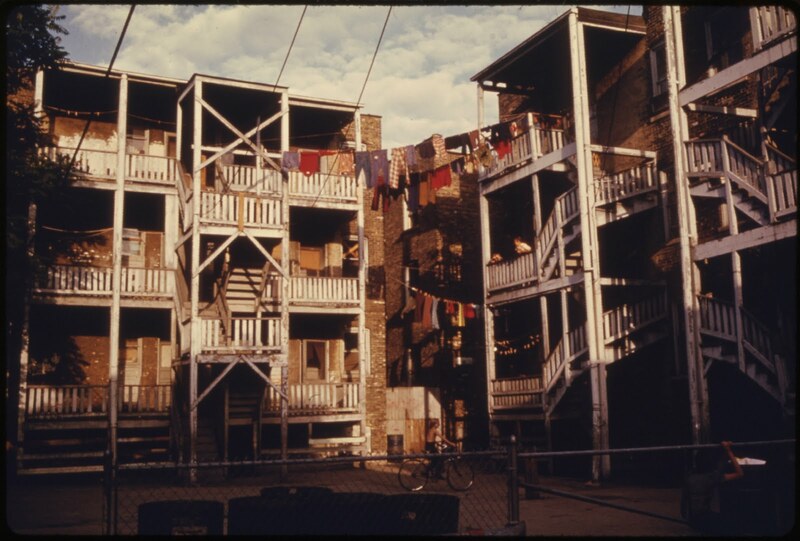 White flight became a major issue in the neighborhoods Puerto Ricans and Mexicans moved into especially in neighborhoods like South Lawndale (Little Village), Lower West Side (Pilsen), Humboldt Park, Hermosa, Gage Park and Brighton Park where Latinos became over 80% of the population. As these neighborhoods transitioned redlining and disinvestment became major issues accompanied by high rates of unemployment. 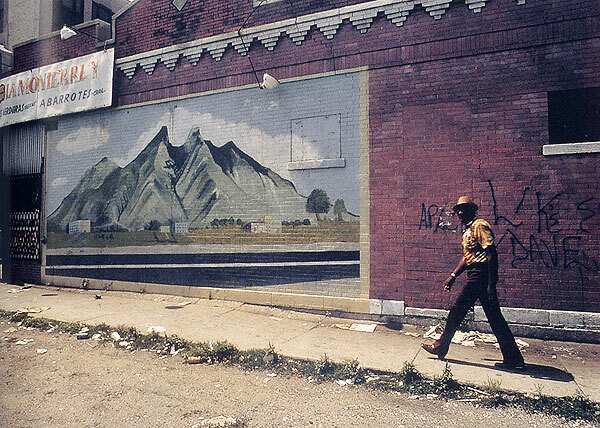 These issues brought about street gangs and crime to the Hispanic community; however, the Hispanics communities often had more successful programs to keep some levels of economic stability that African American communities had a more difficult time obtaining. 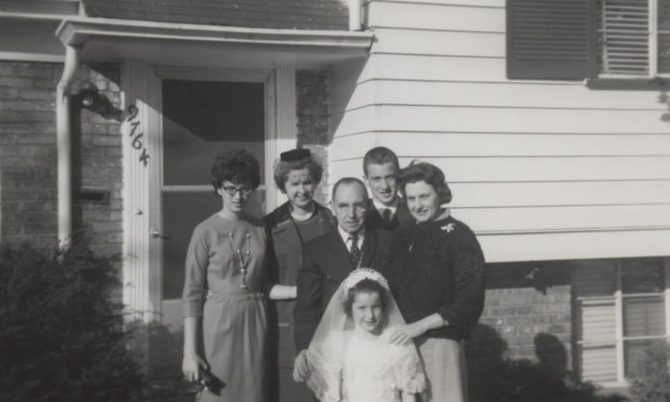 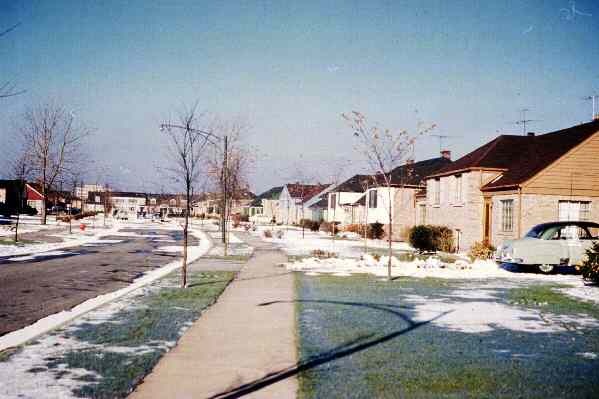 As white flight would approach the later stages in these changing communities, the white families remaining became the minority as they could not afford to partake in white flight and move to the more expensive suburbs. This would result in the white youths being picked on and bullied by the African American and/or Hispanic youths in the community. 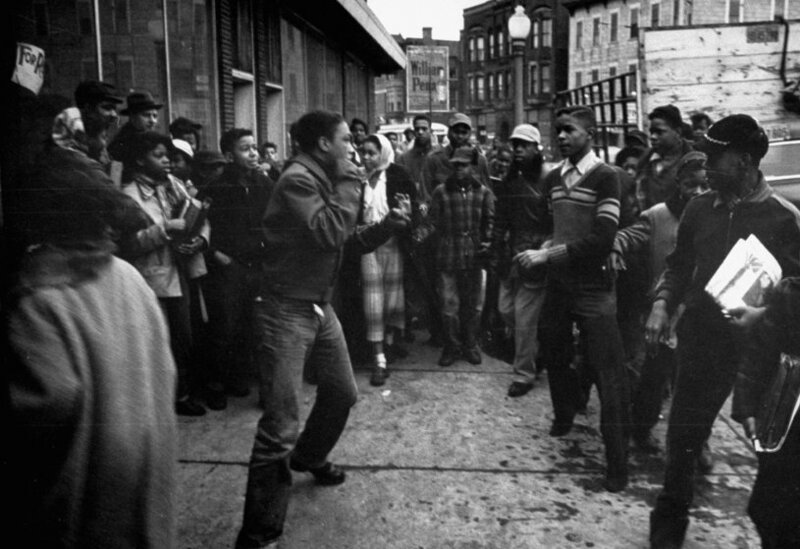 The discrimination against blacks and Hispanics left a bitter taste in the mouths of the youths that arrived at a very young age in these changing communities and now that they were teens they wanted to take out some frustration and aggression on the whites that remained even though many of these white kids were not racist. After being bullied and taunted the white kids joined white greaser street gangs that were leftover from when the neighborhood was all white which gave them a chance to fight against the predatory Hispanic and black gangs. 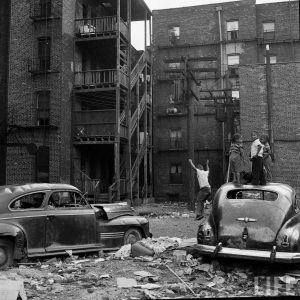 Gangs like Simon City Royals and Gaylords were spread around the city and catered to angry white youths in racially changing neighborhoods; as you can see racism goes both ways. 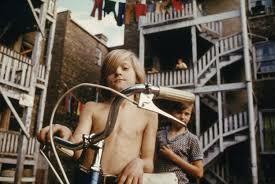 Racism is what started poverty and gangs, but gangs continued to flourish and grow thanks to the sale of drugs. 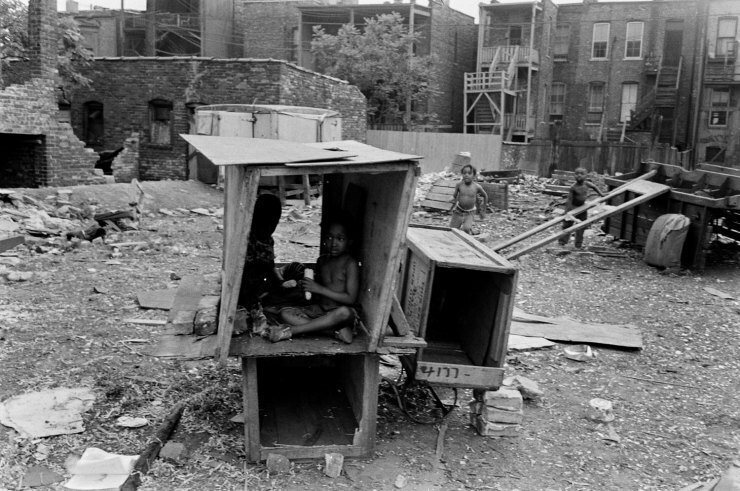 Entire neighborhoods have been held on lockdown because of the drug wars as the main focus of the earlier gangs is long gone which was simply for protection now it is protection of money. 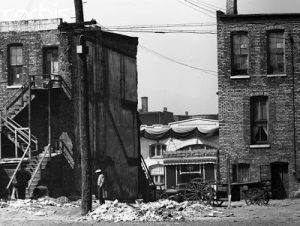 The only positive is the racially motivated gang wars are no longer in existence; however, they have been replaced by wars over money. 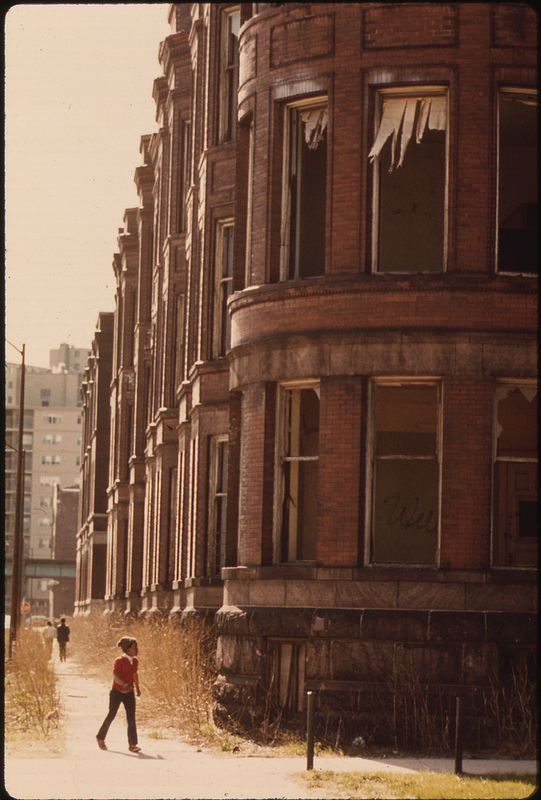 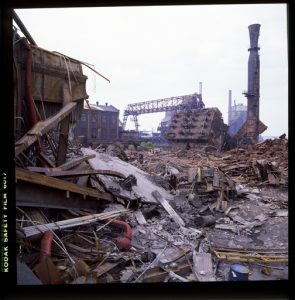 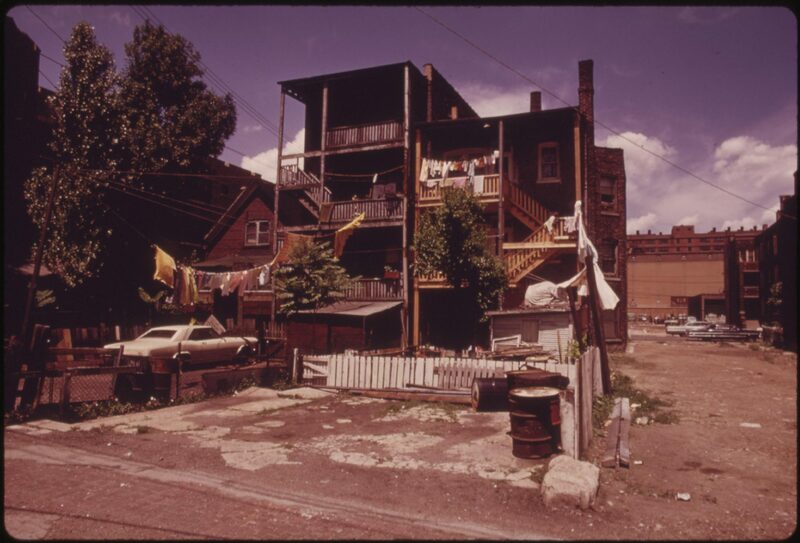 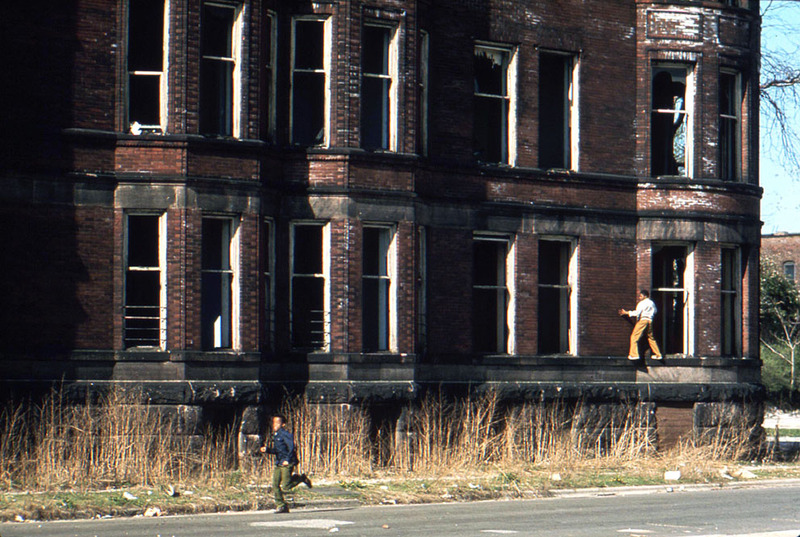 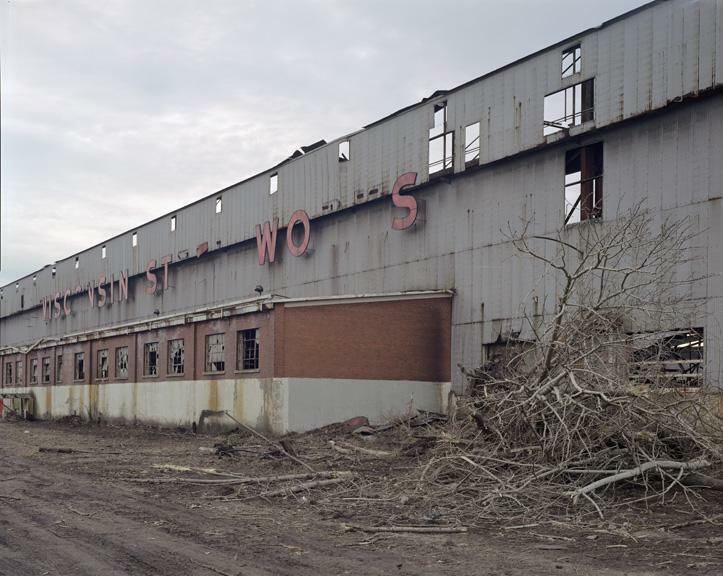 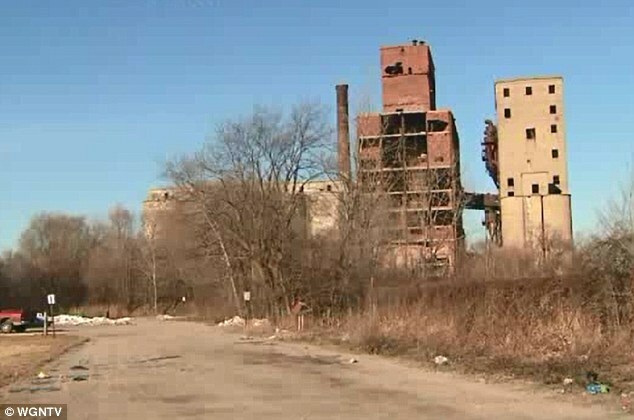 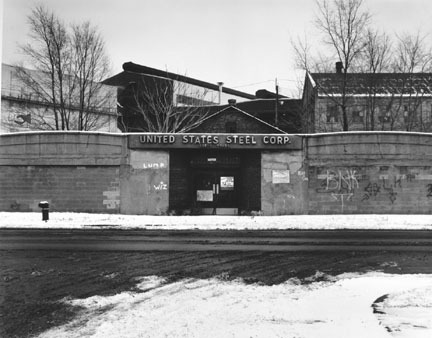 The closing of manufacturing districts and several factories bankrupted entire neighborhoods and put people below the poverty line starting in the 1970s and 1980s and these once thriving neighborhoods have now become forgotten slums. 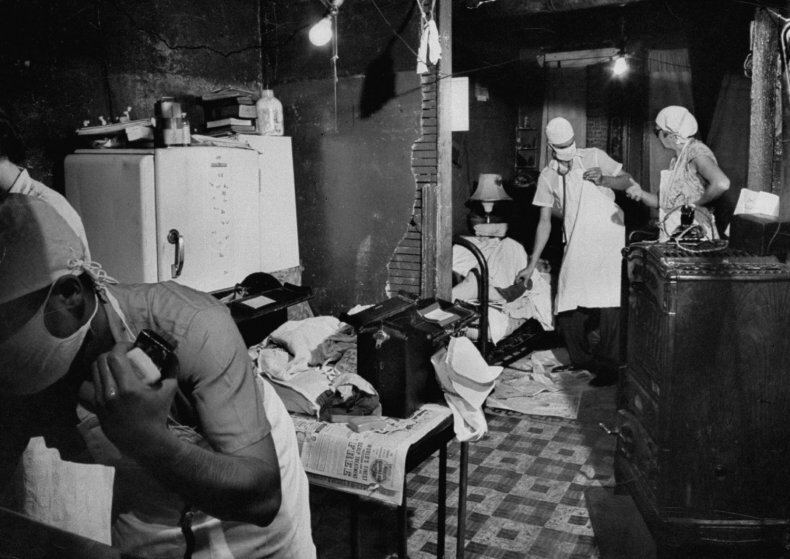 Racism was the beginning factor of street gangs, but the later cause was socioeconomic strife in the neighborhoods.